On May 15th, the twenty-first academic salon of Law School was held successfully in Room 307 of KoGuan Building. The theme of the academic salon is "the increasingly important role of the empirical evidence in constitutional litigation of the USA". Professor Jeffery Fagan who is from Columbia Law School is the lecturer. Sida Liu, the assistant professor of the University of Wisconsin-Madison, was the negotiator, and Chun Peng was the interpreter, who is the postdoctoral of Peking University and Ph.D of Oxford University. 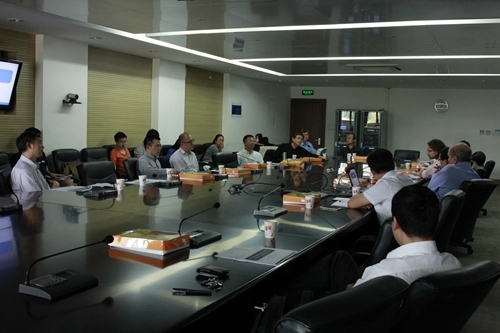 Dean Shouwen Zhang, Vice Dean Jun Xue and many teachers attended the meeting. First, Professor Jeffery Fagan emphasized the growing importance of empirical evidence in the US Constitution since 1950's. 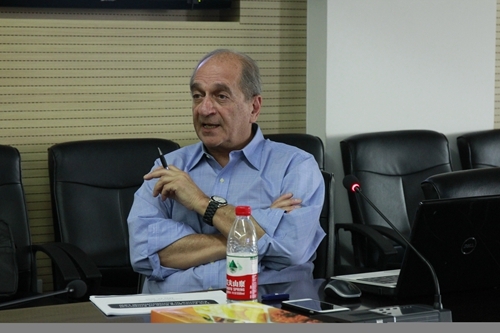 Meanwhile, Professor Fagan presented his views on the application of basic scientific principles and standards of the causal inference problems. He also explained the influence of whether the evidence is admitted by the judge or not. Subsequently, the participating professors made against the same problem under different analytical methods come to different conclusions, discussed the logical errors of evidence reference of the United States Supreme Court. Professor Liu and Professor Bai, etc. 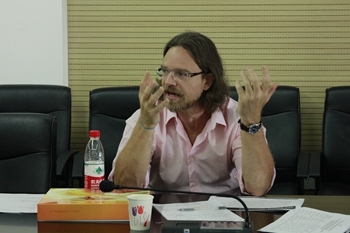 participated in the discussion, Professor Jeffery Fagan answered the problems asked by the teachers. So far, the twenty-first academic salon of Law School ended successfully. The salon discussed deeply on the empirical evidence, especially evidence of data used in the US Constitution. Teachers studied the application of science on the evidence science, reflected the negative impact of the judge’s subjective judgment of the evidence and got a deeper understanding of the current Constitution of the United States litigation.